When will the US economic recovery run out of steam? Stifel Chief Economist Lindsey Piegza warns that a recession could hit as soon as 2020 if the Federal Reserve raises interest rates too quickly. Piegza will join CNN correspondent Paula Newton to talk about it Wednesday on CNNMoney's "Markets Now." In addition to the staying power of the recovery, Piegza will discuss Wall Street's reaction to escalating trade tension between the United States and other countries. Last week, the Trump administration imposed steel and aluminum tariffs on imports from three allies — Mexico, Canada and the European Union. All three promised their own tariffs on billions of dollars in American goods. 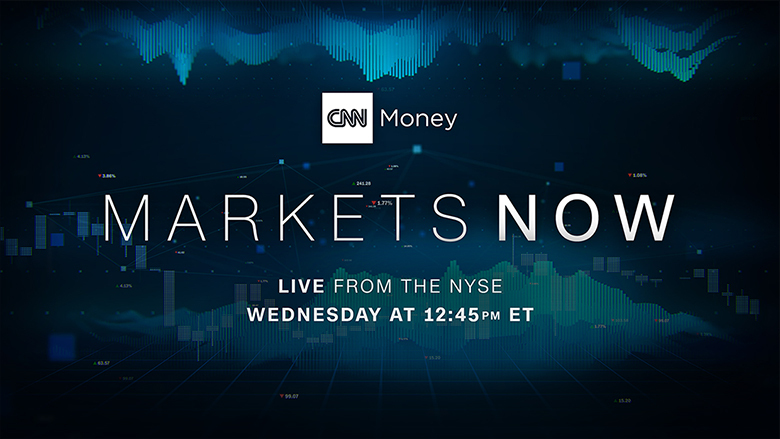 CNNMoney's "Markets Now" streams live from the New York Stock Exchange every Wednesday at 12:45 p.m. ET. Hosted by CNNMoney anchor Maggie Lake and CNNMoney editor-at-large Richard Quest, the 15-minute program features incisive commentary from experts. Newton is filling in on Wednesday. Recent guests include BlackRock (BLK)'s Rick Rieder, former Chrysler and Home Depot (HD) CEO Bob Nardelli and bitcoin bull Mike Novogratz.